Host your event in the grand foyer, or take your dinner centre stage for a truly unique experience. 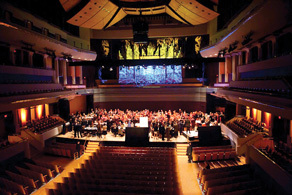 The Jack Singer Concert Hall at Arts Commons offers theatre seating for 1797, banquet seating for 150, and a cocktail reception space for 200 people. With five floors that open up into an inclusive space, the National Music Centre (NMC) is an architecturally stunning event venue. 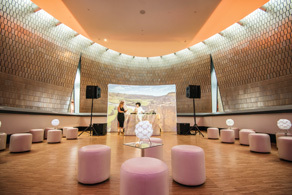 The National Music Centre’s Creative Space is spacious and versatile and lends itself well to meetings, receptions, presentations, and concerts. Centrally located, NMC is close to all major hotels and public transit options in Calgary. Guests can see penguins and pandas when on route to meetings! 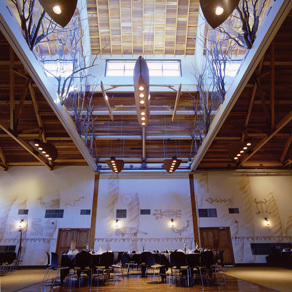 The Calgary Zoo offers four unique meeting rooms with space for groups up to 425 people. Just minutes from downtown and two stops away on LRT, the Calgary Zoo is easily accessible for meeting attendees. 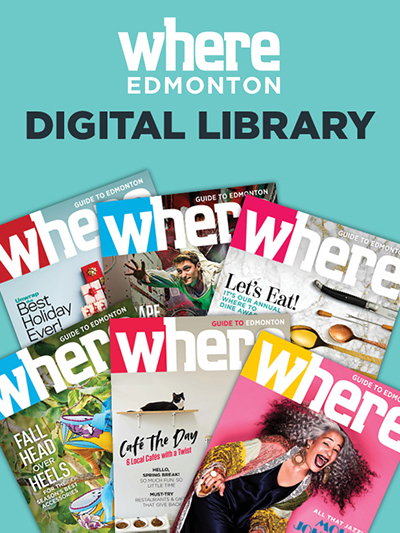 A unique venue where guests will experience Honoured Members’ magical moments through interactive exhibits. Your story and your brand can come to life within and alongside Canada’s Sports Hall of Fame. The facility is an award winning 40,000 square-foot building with state-of-the-art technology, indoor and outdoor areas, and more than 50 hands-on interactive exhibits, including sport challenges, touch-screen sport lessons, mini-theatres, 3-D simulations, and more. The space includes a 120-person theatre, banquet space for 120, and a reception space for 225. Located on the sixth floor of the downtown Hudson’s Bay’s heritage building, Hudson offers 18,000 square feet of event space. Hudson is suited with large windows that command stunning views of downtown Calgary’s historic district and invite natural light into the space. 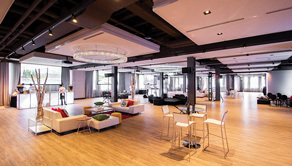 It consists of two unique venues, the contemporary Hudson Loft and the grand Hudson Flat, totalling over 18,000 square feet of event space. Glenbow is never the same place twice. 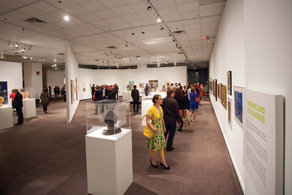 Attached to the Calgary TELUS Convention Centre, the museum has three floors of gallery space featuring historical and contemporary art, world cultures, and Alberta history, all of which provide a stunning backdrop or intimate creative setting for your meeting, presentation, or reception. 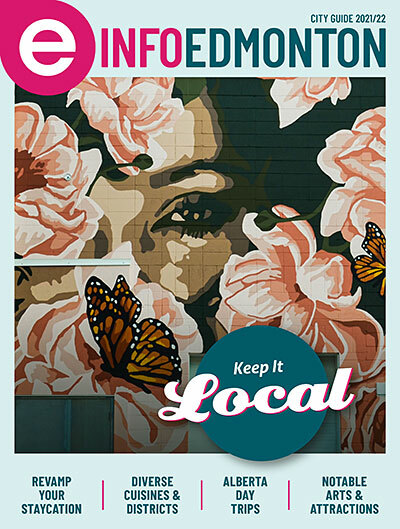 Glenbow offers customizable spaces with capacity for anywhere between 5 and 1000 people and can host a formal seated dinner or chic cocktail event in its dramatic lobby spaces. 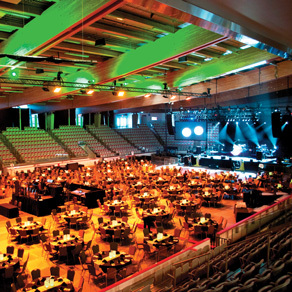 The Nutrien Western Event Centre is the new heart and home of year-round western events and agricultural education on Stampede Park. It is a state-ofthe-art facility for western events and agriculture education, exhibition and industry in southern Alberta. This picturesque complex has captivated worldwide show-jumping audiences. 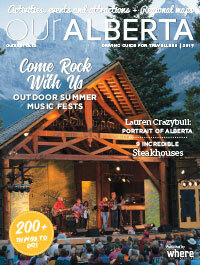 It is also one of Canada’s premier centres for conferences, business meetings, and special events. Spruce Meadows blends the discipline of sport with the communication of international commerce, and the goodwill of visitors. 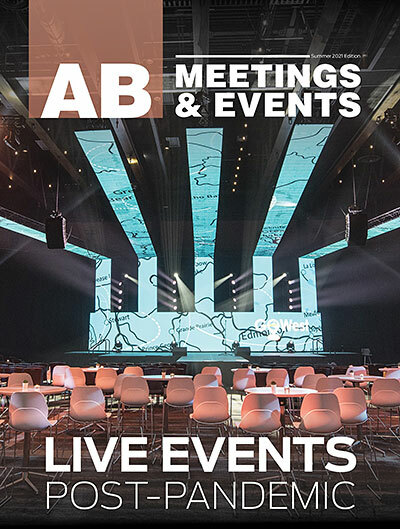 The Congress Hall offers 12,000 square feet of specially designed space, with flexibility to handle meetings and events ranging from small to large. Additional attributes: Located on the southern outskirts of Calgary; More than 400 acres of property in Alberta foothills; Nearby accommodation include Carriage House Inn, Delta Calgary South Hotel, and the Grey Eagle Resort & Casino. WinSport is home to many dynamic meeting-and-event spaces. Whether you’re booking corporate gatherings, concerts, sporting events, or trade shows, they’ll set up the space with the arrangement that provides the best experience for guests. From large to small and formal to informal, their venues are perfect for any occasion and feature complimentary parking, floor-to-ceiling windows, world-class catering, and on-site audio and visual. 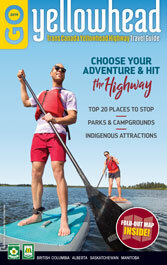 Additional attributes: On-site gourmet catering; WinSport is a national training centre for numerous winter sports; Public winter activities include skiing, snowboarding, bobsleighing, skating, cross-country skiing, luge, ice hockey, and curling; Public summer activities include mountain biking, ziplining, mini-golf, a children’s activity area, and more. They also have team-building experiences (including ziplining and bobsleighing) that can be built into your conference program.